Záborszky Gábor: Fugues. Guida – Riposta – Repercussio 1976-2015. The Ludwig Museum is going to present a retrospective exhibition of the artist’s life-work, from the beginning to the most recent works, selected with expertise by art historian Péter Fitz. 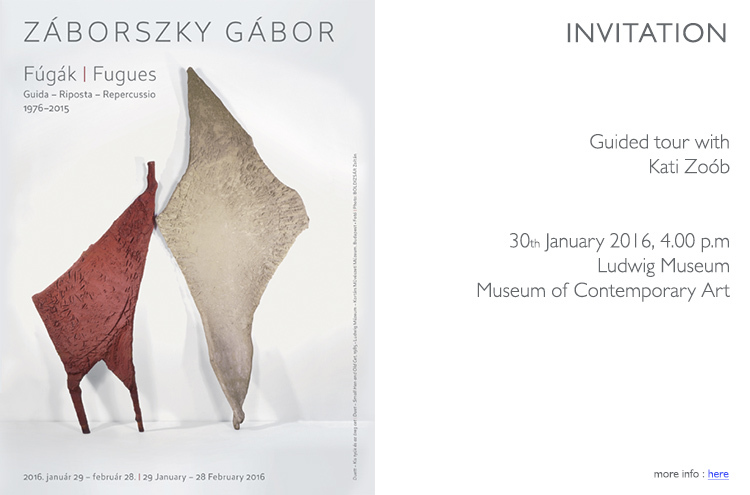 Guided tour will be held in Hungarian language with widely renowned fashion designer Kati Zoób on 30th January 2016, 4.p.m.